How to Make Barley Water for Weight Loss at Home? 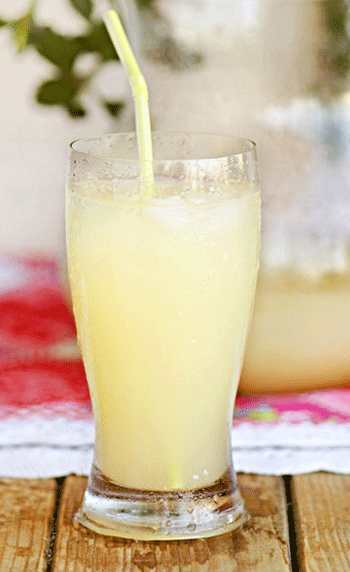 Barley Water for Weight Loss is possible, provided, it is prepared in the right way. Barley is a grain that is mostly baked as bread or served as a substitute for rice. It is very rich in fiber content and is highly beneficial for losing weight just like the other grains like oats, whole wheat and whole grains. Below is the nutritional information for 1 cup serving of cooked barley pearls. Barley water can not only help in reducing cholesterol in the body but also provides many vital nutrients required for a healthy body. How Does Barley Water Help in Weight Loss? You might be wondering how does drinking barley water reduces weight since it contains more calories for a single serving. But, you should know that only small portion of those calories come from fat, while the rest comes from complex carbohydrates. It also contains good amount of protein and lot of soluble fiber, which makes you feel fuller for a longer period. So, you don’t need to snack on fast foods as barley water curbs your cravings for sure. Thanks to the high fiber content, you’ll be getting proper bowel movements and can cure yourself from heavy constipation issues (in case if you have the problem already). It flushes out all the impurities from your body and cleanses your digestive system. It is highly advised to prepare barley water on your own at home rather than purchasing the bottled variants, which come loaded with sugars and artificial preservatives. Don’t worry! It is very easy to prepare. Boil 1Kg of Organic barley pearls by adding 3 liters of water until they turn soft. Also add the other ingredients like Cinnamon stick, ginger root while boiling. P.S: The ratio is 1:3 here. So, you can also boil 500 g of barley with 1.5 liters of water, based on your requirement. Strain the liquid into a jar and let it cool for a while. Add the optional ingredients (honey/brown sugar/jaggery/lemon) for taste. You can also store this barley water in the refrigerator as it lasts for a longer period and have it ready whenever you want it. 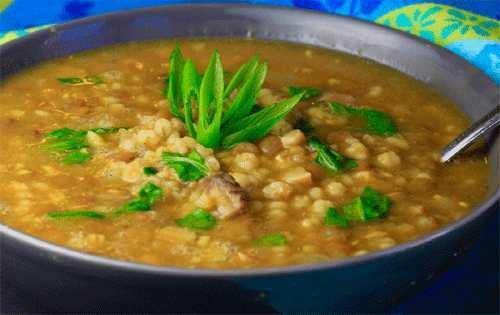 If you want to lose weight with barley but don’t want to compromise with the taste, then this delicious weight loss soup is just for you. The soup provides protein from lentils and fiber from barley & other vegetables. Fry the chopped onions and ginger garlic paste in a frying pan by adding 1 or 2 tsp of Olive oil. Add the vegetables and stir fry them. Next add some water along with lentils, barley, tomato puree and cinnamon stick. Boil the soup until the lentils are completely cooked. You can either blend the soup into a puree or have it as it is by adding salt, pepper and celery for taste. I personally prefer to have it as it is without blending it to a puree form. You can have it your way. How Many Glasses of Barley Water Can I Drink Per Day? It is recommended to drink at least 3 glasses of barley water per day to reap the benefits of weight loss. Apart from that, it also cools your body, cleanses the kidneys and helps in reducing the risk of high blood pressure & diabetes. Helps in Weight Loss: As said earlier, it contains more complex carbs and high fiber content, which promotes a healthy weight loss. Improves Bowel Movement: Barley is rich in insoluble fiber which regularizes your bowel movements and helps flush out the impurities out of your body. Reduces the Risk of High Blood Pressure: Thanks to the fiber and niacin, barley helps in lowering the risk of blood pressure. Improves Cardiovascular Health: The beta-glucan (soluble fiber) in barley promotes healthy blood lipid levels and thus reduces the absorption of cholesterol in the intestine. Prevents Osteoporosis: It contains Phosphorus, Copper, Manganese, Iron and several other nutrients that help promote strong bones, which lowers the symptoms of Osteoporosis or Arthritis. Prevents Diabetes: Barley has a low glycemic index, it does not cause a spike in the blood sugar levels and hence it is highly beneficial for people suffering with diabetes. Prevents Gallstones: Since Barley is rich in insoluble fiber, it helps in moving the food quickly through small intestines and promotes the digestive system, which prevents gallstones from forming. Reduces the Risk of Cancer: Barley contains a nutrient called ‘Selenium’, which supports the metabolic functions and thus aids in reducing the risk of cancer and the plant antioxidants & lignans in barley further increases the cancer-fighting properties of your body. Improves Skin Elasticity: The Selenium found in Barley helps preserve the skin elasticity and thus prevents aging. Prevents Childhood Asthma: Barley contains powerful antioxidants, especially Vitamin C and Vitamin E helps in regularizing breathing and reduces wheezing issues in children. Intestinal Gas: Since it contains soluble fiber, excess consumption of barley water can cause flatus or intestinal gas. Constipation: While it helps relieve from constipation when taken in limited serving, on the other hand too much of barley may develop chronic constipation. Surgical Complications: Since it causes a sudden drop in blood sugar levels, it is recommended not to consume it at least 2 weeks before undergoing a surgery to keep the complications at bay. Hypoglycemia: Excess intake of barley can reduce the blood sugar levels to a great extent, which may develop hypoglycemia. Others: A few most common side effects of excessive intake of barley include – Upset stomach, rectal bleeding, fungal contamination, bakers’ asthma, blocked/ruptured esophagus, and celiac disease.